Performers at Sunday's 61st GRAMMY Awards® will receive a delicious and refreshing secret weapon: Prime Drive Passion Fruit Drink Mix is part of the show's coveted annual swag bag. The convenient stick packs are easy to mix stage-side – just add to a water bottle and shake. Prime Drive is an herbal formula to provide sustainable energy and enhance metabolism and has zero sugar. No crash. Prime Drive is a revolutionary energy drink available in convenient stick packs for on-the-go, anywhere-you-need-it energy: work, the gym, school, at home or the movies. 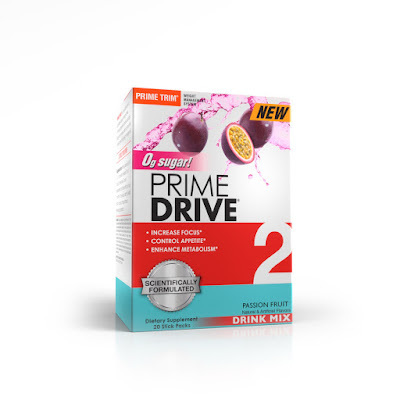 Prime Drive is a great alternative to sugar-filled sodas and energy drinks. The herbal ingredients, including Yerba Mate Leaf, Guarana, and Green Tea Leaf Extract, work together with caffeine to provide sustainable energy – with no crash. Prime Drive has zero grams of added sugar and mixes easily in a bottle of water. "We are honored to participate with the GRAMMYs for these super exclusive gift bags," Complete Nutrition CEO Vito Sanzone said. Complete Nutrition celebrates its 15th year as a leading retailer and online destination (completenutrition.com) for consumers seeking quality sports nutrition and general wellness supplements. Founded in 2004 in Omaha, Nebraska, Complete Nutrition has nearly 100 retail locations across the USA. Staffed by experienced fitness professionals in a consultative environment, Complete Nutrition offers a selection of premium brands including Elite Gold® sports nutrition, Prime Trim® Weight Management System, Green'd.® plant-based nutrition and Maine Roast Protein Coffee. Find more information at completenutrition.com, Facebook @completenutrition and Instagram #completenutrition.